I’ve been kind of stuck on Gilneas lately. 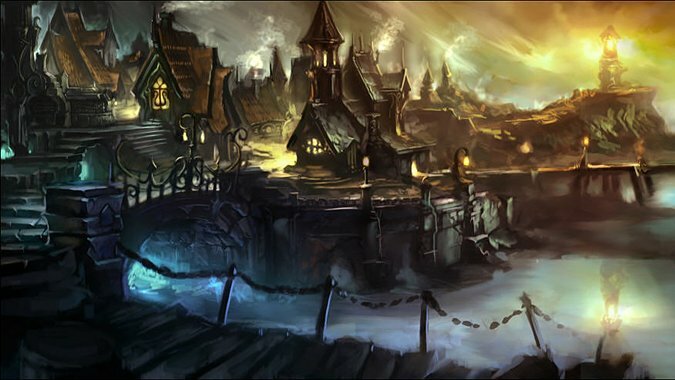 It’s the only major “city” in Warcraft that isn’t actually a city at all — it’s just ruins left behind after the disastrous Gilnean starting experience. That’s not to say that the starting experience was bad: in fact, it was probably one of my favorites to date, but I can’t quite pinpoint what sets it apart. We’ve got other areas of the game you can’t go back to — the Goblin starting experience on Kezan is obviously somewhere you can’t just pop back and revisit, and until Legion starts, you won’t be making any trips back to the Wandering Isle, either. But Gilneas felt different, for some reason. I think part of it is that I could, technically, still go back to Gilneas, but it’s nothing like the city my Worgen Hunter first stepped into. The place is a complete wreck. But I think a larger part of it is that Gilneas is one of those important areas in Azeroth’s history — it was one of the original seven Human kingdoms, and arguably the only one that survived unscathed through the First, Second, and Third wars. Stormwind was razed by Orcs and rebuilt, Dalaran was decimated and took to the skies, but Gilneas has always been there, just behind that wall, locked away from anything that could potentially harm it. Which is pretty fun to think about. Heck, I thought about it all through vanilla, Burning Crusade, and Wrath of the Lich King. When the city was announced as part of Cataclysm, I was ridiculously excited that we’d finally get to see what was behind that wall…but we didn’t, really. We got to see what was behind that wall for a brief introductory experience, and then never again. I kind of wish we could get it back. What do you guys think? Have you played a Worgen through the zone — and did you play a Forsaken through Silverpine to get the whole effect? Do you wish the city would make a return as a proper city? If Gilneas came back, would you want to see access restored to the Wandering Isle, too — or maybe a return to the ruins of Kezan? Or are starter zones places you just forget about, once you’ve left them behind?